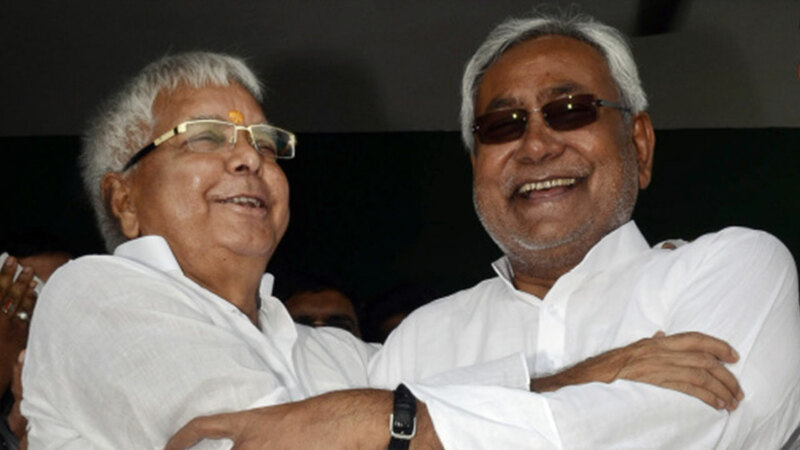 Patna, Dec 1: Bihar Chief Minister Nitish Kumar today mocked at the RJD supremo saying 'corruption is etiquette' for Lalu Prasad who, on the other hand, retorted that the JD(U) president's clean image is actually 'fake'. The war of words between Kumar and Prasad is going on in Twitter with no one taking the other's name. Kumar today came up with a sarcastic tweet: "bhrashtachar shishtachar hai, uske khilaaf karrvai anachar hai" (Corruption is etiquette, action against it is misconduct). The chief minister has been coming up with tweets targeting Prasad for the past couple of days, drawing angry responses from the RJD leader on the micro-blogging site. In a tweet today, Prasad called Kumar a "farji imaandaar mukhyamantri" (a chief minister with bogus claims of honesty). In another one, he said: "naitikta aur farzi chhavi ka dhindhora pitwaana" (bragging about morality and fake image). Replying to a query from journalists about Prasad's retorts outside the Assembly, Kumar said, "When I feel like saying something on twitter, I come up with a tweet. I have nothing to say about what others have to say on that". Yesterday also the two leaders traded barbs on the social media platform, questioning each other's "deshbhakti" (patriotism).